Four new employee owners joined VGM Group’s Homelink division. KATIE PETERS is a call center representative. MATTHEW ESPINOSA, CLARK JACKLEY and SARA PURDY are intake patient care coordinators. Jackley is a graduate of the University of Northern Iowa. Purdy previously was at Zsavooz. 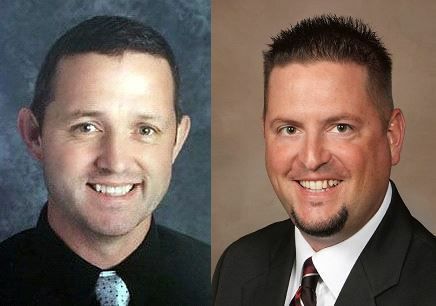 JOSEPH TAYLOR, a native of Riceville, was named the new principal at the Charles City Middle School. He was the middle school principal and middle school athletic director at South Hardin in Hubbard. JOE GREENE was promoted at the Waterloo Black Hawks to president of business operations. Greene joined the organization as vice president of sales and marketing in the months leading up to the 2015-16 United States Hockey League season.